What Should a Governing Board Be Good At? Many people dread board meetings, and for good reason. Boards spend too much time passively receiving information and transacting routine business. But it doesn’t have to be this way. Some boards have interesting meetings, leaving board members happy their time and energy has been well used. Effective delegation is not easy. The board must say precisely what authority it means to delegate and to whom. It needs to give—up front, in written policy—all of the guidance it intends to give and any limits it intends to set. What is our purpose in renting space? What are the criteria for membership? Who can adjust a budget line, and under what conditions? The board must provide for accountability and plan periodic check-ins to review how its authority is being used. Having delegated, an effective board resolves not to take appeals from those who are unhappy with particular decisions made with the authority the board has delegated. Unless its policies or someone’s rights are violated, the board does not step in to fix what others have done. Many boards’ agendas consist almost entirely of business from outside the board—reports, requests for approval and permission, and complaints about decisions made elsewhere. As a result, the board spends almost no time on its primary responsibility: developing a vision for the congregation’s future. To make time for considering the future, a board must take control of its agenda. Each board member can help by asking, after listening to a routine report, “In the future, could this report come to us ahead of time, in the board packet?” Effective boards spend almost no time listening to reports at meetings. If something in a report needs board consideration, it can come up as part of the board’s own agenda, not because someone includes it in a report. Boards that focus on the long-term future can create long-term agendas. Strategic questions and adaptive challenges tend to stick around for quite a while, so boards can plan their meetings six to twelve months in advance. Having an interesting, important issue on the board agenda—and perhaps appointing an ad hoc committee to prepare and lead that meeting—will help stiffen any board’s resistance to those who want to fill the board’s agenda with transient management decisions that can better be made elsewhere. Perhaps the most important contribution a governing board can make is to sustain a fruitful partnership with the congregation’s primary clergy leader. Many boards outsource this core responsibility to a committee, which is a mistake. It doesn’t matter much whether the pastor has a good relationship with a committee, but it matters a great deal that the clergy and the board have a clear understanding about goals and mutual expectations. Specifically, the board and clergy leader need to agree on a short list of priorities for the next year or two. I call this list the Annual Vision of Ministry—it’s “smaller” than a congregational mission or vision statement, but bigger than the work goals that staff members and ministry teams might set. Call it what you like—if board and pastor don’t agree on top priorities for this year, they are almost certain to be disappointed in each other at year’s end. In addition to agreeing on a yearly vision for the institution, the board and clergy leader need to talk about their roles and mutual expectations. This conversation is important and deserves to be the main topic of a board meeting at least once a year. It is also important enough to merit a committee to prepare by working with the pastor to gather data, plan the process, and facilitate the conversation. But—and I can’t emphasize this point enough—the job of the committee is not to set goals or evaluate the pastor in the board’s place, but to make sure that the board and pastor have the best conversation they can have. Having spoken frankly to each other, and addressed whatever differences need to be addressed, the board and clergy leader both must have each other’s backs. When people complain about the pastor to the board, or vice versa—as inevitably happens—the partners need not pretend they always agree. But they do need to support each other and assure the critics that the lay-clergy partnership is strong. 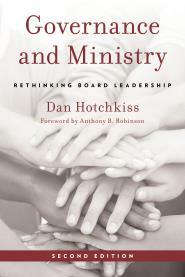 The work of an effective board is not limited to board meetings. Most boards are elected by the congregation, and they need to stay in touch. All boards rely on perceptions and perspectives of the congregation to help them discern what the congregation is called to be and do in the future. One way to activate the wisdom of the congregation is to hold focused, future-oriented conversations. 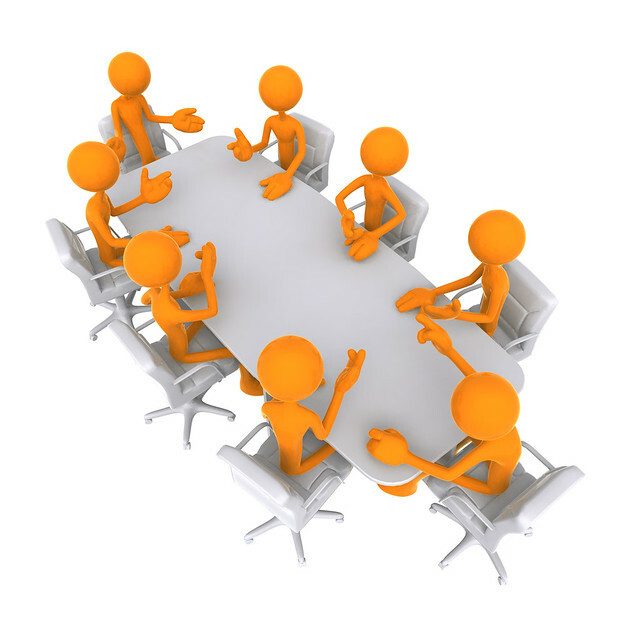 The board needs to be good at raising relevant, provocative questions or issues for discussion. It also needs to be good at finding ways to draw subgroups of the congregation into conversation. About 60 to 80 members—almost regardless of the congregation’s size—want and expect to have a voice about the future. Others who do not particularly want a voice still have expertise and wisdom to offer. Boards can reach out in a variety of ways. “Town meetings,” open to everyone, tend to draw mostly older adults without young children. Smaller “expert meetings” are a good way to take advantage of the special knowledge certain people bring to a specific topic. Facilitated “workshop meetings” like Future Search or World Café can be a good way to foster conversation among people who don’t often talk to one another. No decisions should be made at the board’s future-oriented conversations—their purpose is to foster listening and to inform the board and staff. Excellence is never easy. But by mastering a few challenging skills, any board can shift from being merely a responsible custodian of past and present and to become a visionary steward of the future. How Do I Learn What Seminary Didn’t Teach Me?